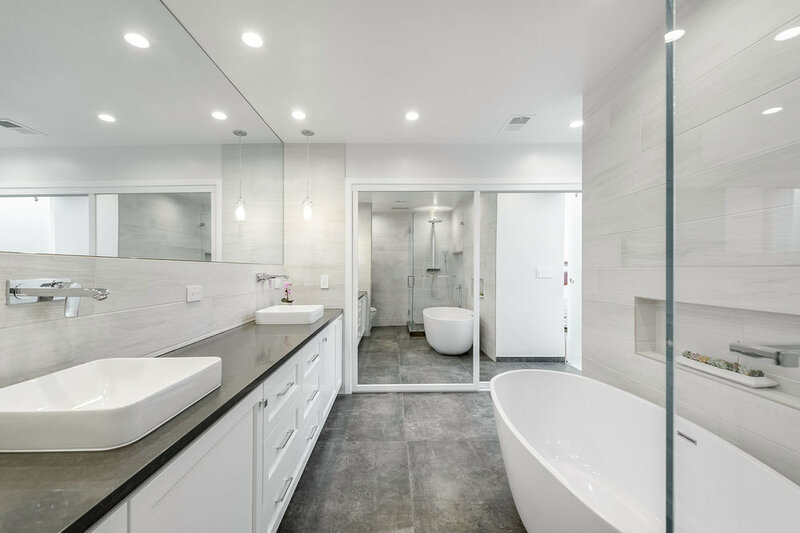 These two beautiful =bathrooms in Beverly Hills were designed with Spazio LA Tile Gallery's luxury tiles for a modern and unique look. The master bathroom features wood looking porcelain tiles on walls, contrasting with the grey pattern porcelain tiles on the floor, and Caesarstone Raven countertops. 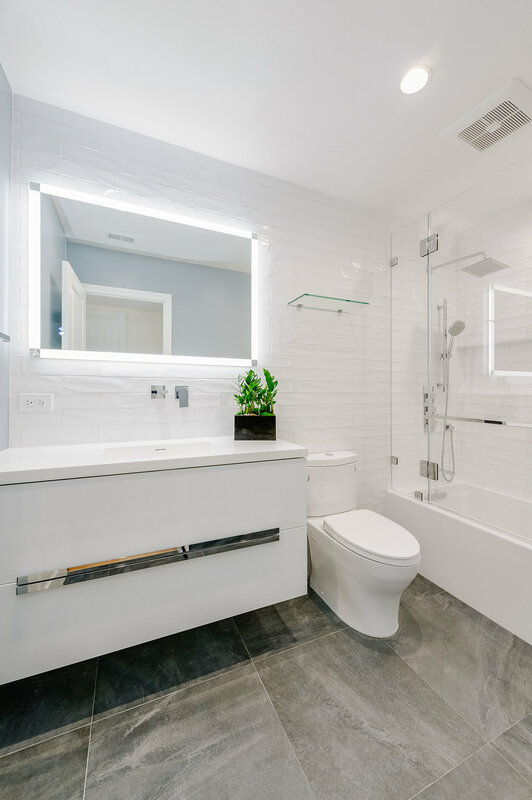 The guest bathroom features white Italian porcelain subway tiles on the walls and on the custom wall to wall shampoo niche and slate concrete look porcelain tile on floors. Come visit our showroom in North Hollywood to see these and other tiles!